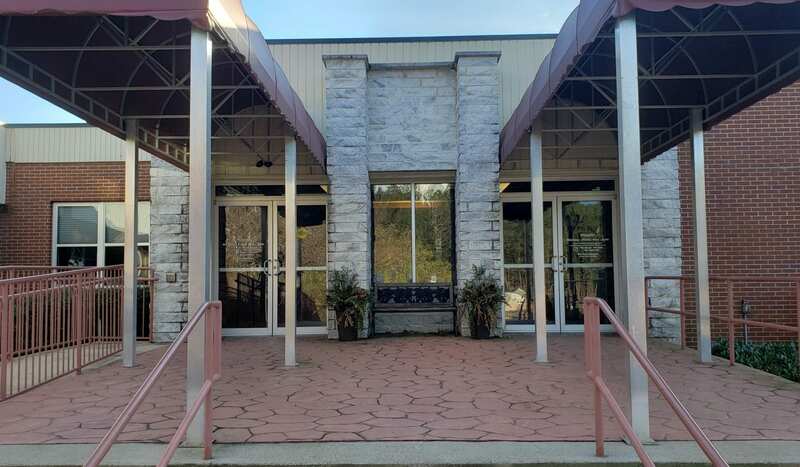 JASPER, Ga.- The Pickens County Board of Commissioners met on Thursday, March 21, 2019, to discuss repairs to Jones Mountain Road, Roundabout Lighting Assistance, and the Pickens “Ferst” Reader Proclamation. Due to inclement weather in the area, there was a landslide on Jones Mountain Road, resulting in damage to the road itself. A retired employee from the Department of Transportation served papers to the Commissioners (8:24) regarding information received from contractors, as well as comments towards said contractors. It was made clear that the county seeks to have a single contract that will cover everything, from drainage and runoff to erosion, using emergency funding from the state. At this time, however, the board awaits a final projected amount required to properly fix the damages. Chairman Robert P. Jones states that the board currently has the priority of salvaging the road until it can be fully repaired, so that at least one lane can be opened back up for travelers. It would take approximately 4.7 miles to go around the road for emergency services, and it will likely take 30-50 days to fix the road completely. However, it is currently unknown as to which potential contractor could finish the project the fastest. Geostabilization International, a potential contractor being looked at by the board, does “in-place stabilization”, in which they would utilize soil nails to stabilize the road enough to use barricades and barrels to get at least one of the lanes open for traffic. Both potential contractors should respond to the board’s questions by Tuesday, March 26, 2019, or Wednesday, March 27, 2019, of this coming week so that a decision can be made in a special meeting as to which contractor to go with, and how much the final bill will be. 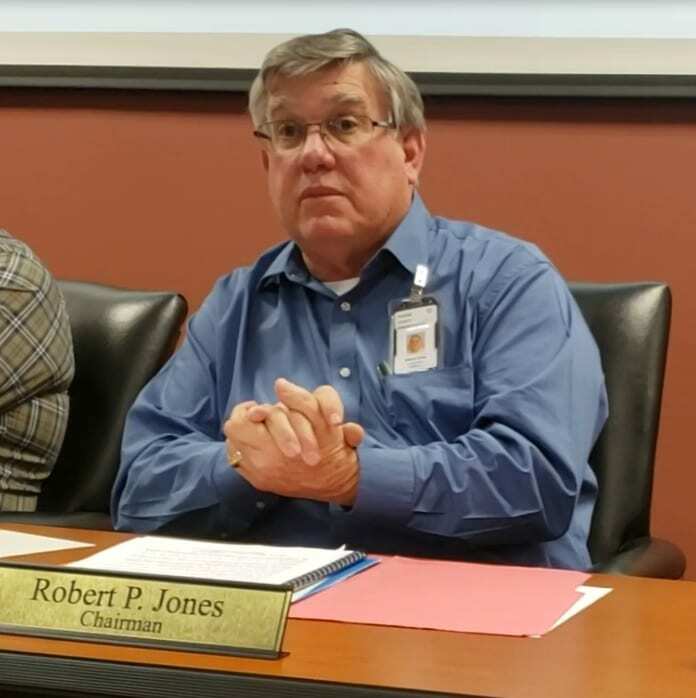 Jones states that overall price is important, but also goes on to say that getting one lane open and obtaining a five year warranty for the project are his biggest concerns. Right to Left: Board members Jerry B. Barnes, Becky Denney, and Faye Harvey. Starting at (26:14) in the video, Jones discusses the Roundabout Lighting Assistance for the 136 Connector at Blane’s Store and the White Talking Rock area of Old Highway 5. The Department of Transportation would like to place a roundabout at the White Talking Rock area of Old Highway 5, but would like the county to take care of the lighting. The county isn’t actually expected to pay for the lights themselves, but rather the electricity and the maintenance. Solar electricity isn’t an option, but LED lights are being considered to save money on the electrical cost. The concern is that it would likely take more LED light fixtures, and some feel that the cost of the fixtures wouldn’t make the difference in price matter as much. The Pickens “Ferst” Reader Proclamation (found at the beginning of the video) was also on the agenda during the meeting. This proclamation states that Wednesday, March 20, 2019, through Wednesday, March 27, 2019, is the FERST READERS WEEK throughout the county of Pickens, States of Georgia, and USA.